You want to be able to continue having a great relationship with your kids after separation. This means you must focus on the kids rather than on your ex-partner. You still need to be parents together, rather than partners. Separation is often a time of conflict between adults. This is very damaging to children. It can also put at risk having a strong bond and a close relationship with your kids. If violent, abusive and destructive behaviors are affecting your relationship – seek help fast. Not all parents are able to continue a relationship with their children after separation and divorce. There are no easy solutions to these difficult situations. Talk to somehow whose job it is to help sort out issues before they progress further. What sort of parent do I want to be? What kind of thoughts do I want my children to have of me? How can I become a better role model for my kids? Many people have had the experience of parenting from a distance and each has had to tackle the hard questions personally. Whatever you are going through, we can tell you that things can change for the better through the passage of time. Breaking up can be bad enough without the thought of losing touch with your children’s day-to-day lives. You are feeling the loss of that everyday contact and you believe your children miss you too. You may not always be sure of the best way to be involved with them. So what can you do? Work on your relationship with the children. Every day. Aim to minimise the conflict with their other parent. Remember – you are important to your children so make contact, and hang in there for them! Would they be better off without you? No way! Even if you live a long way from your children, you are still their parent. No matter who your children live with, they need and deserve to know that they are loved and wanted by both of their parents. Children can be frightened by the strong emotions that often come from parental break-ups. You may have to work to regain their trust. Your children need to feel safe with you. This can take time. Studies support the importance of children generally having both parents in their lives. This helps their self-esteem and their success in life as they get the benefit of both parents’ strengths and experiences. Remember – you cannot be replaced by a new partner or by anyone else. 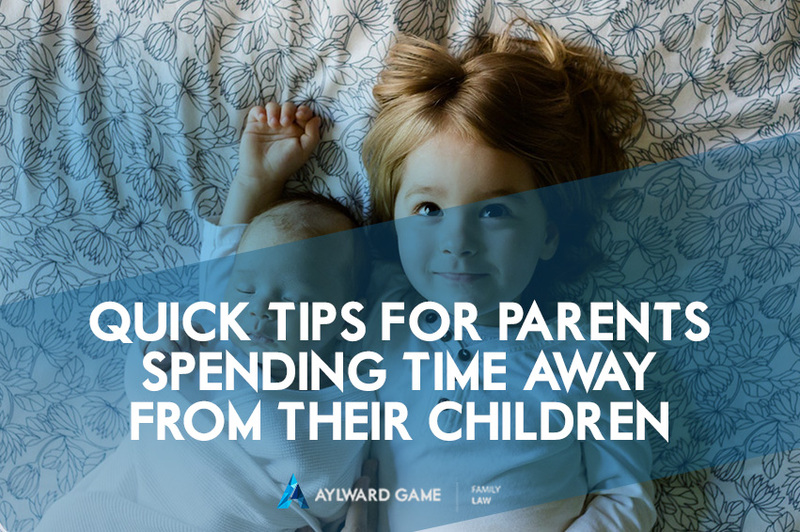 If you are seeking advice on your best approach to arranging a split parenting arrangement, then speak to an experienced family lawyer today at Aylward Game Solicitors Brisbane on 1800 217 217.